Donald Trump called for "all civilized nations" to work to end the bloodshed in Syria. 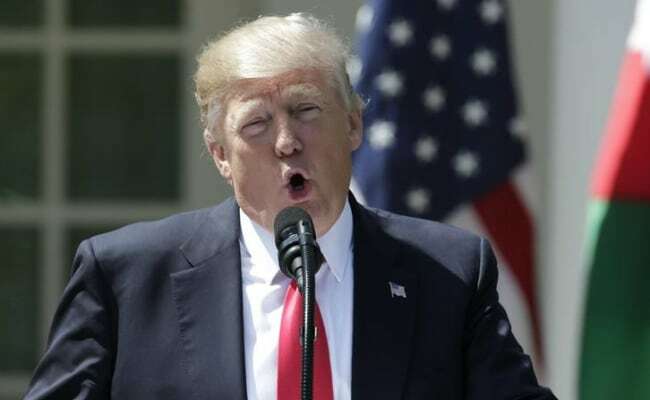 US President Donald Trump called Thursday for "all civilized nations" to work to end the bloodshed in Syria, after launching a massive strike against the regime in retaliation for a chemical attack. "On Tuesday, Syrian dictator Bashar al-Assad launched a horrible chemical weapons attack on innocent civilians using a deadly nerve agent," Mr Trump said in a televised address from his Mar-a-Lago estate in Florida. Mr Trump ordered a massive military strike on a Syrian air base on Thursday in retaliation for a "barbaric" chemical attack he blamed on Syrian President Bashar al-Assad. "We hope that as long as America stands for justice, then peace and harmony will in the end prevail," said Mr Trump. The chemical attack, killed at least 70 people, many of them children, in the Syrian town of Khan Sheikhoun. The Syrian government has denied it was behind the attack. "Tonight I call on all civilized nations to join us in seeking to end this slaughter and bloodshed in Syria and also to end terrorism of all kinds and all types," Mr Trump said. The US President also said the strikes in Syria were in the 'vital national security interest'. He blamed Mr Assad of choking lives of 'helpless men, women and children'.